At DFYC we run a programme of Outward Bound activities for our members. This includes trips to Hindleap Warren and Woodrow House (residential activity centres run by London Youth), the 100 Mile Canoe Test, a sailing trip and our annual Summer Camp in Somerset. Click here to read our reports on the ﻿Sailing Trip ﻿or 100 Mile Canoe Test. The four-day test takes place on the River Severn - participants cover 25 miles a day, canoeing for over 6 hours a day - whatever the weather! - with over 300 other canoeists from around the country. You'll discover your own physical and mental limits, increase your fitness with our pre-test training, make friends for life and experience the thrill of completing a really tough challenge. "The 100 mile canoe test is without a doubt one of the most challenging endeavours a young person can undertake (it took me three attempts and nearly a decade to complete it). However, it is also one of the most rewarding. It’s fantastic in the sense that is does not require any particular skills in a canoe or kayak, these can be picked up quite quickly over a couple of taster days or even on the first day of the actual test itself. This leaves it open to a wider range of people, though certain swimming abilities are required. This means that it is more a test of physical, but most importantly, mental endurance. Each day is more difficult as aches, pains and fatigue begin to set in from repetitive motion. This, however, is very rarely what causes people to drop out of the test; it’s their ability to cope with these problems, the mental aspect of the challenge. Overall, the 100 mile canoe test is an excellent all round experience. Many new friends will be made on and off the water, whether it be through encouraging each other during a tough days canoeing, or playing sports and games back at the campsite. As difficult as the challenge is, a lot of laughs will be had, and a lot of great memories made. Anyone can complete the 100 mile canoe test as long as they keep the right mind-set." 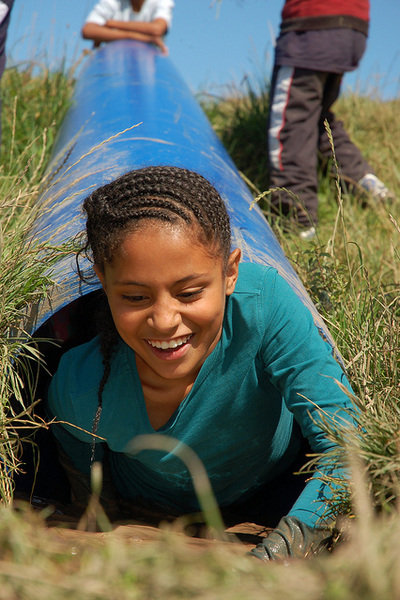 Each year we run a week-long summer camp for 15 members of the club aged 11 – 15 years old. 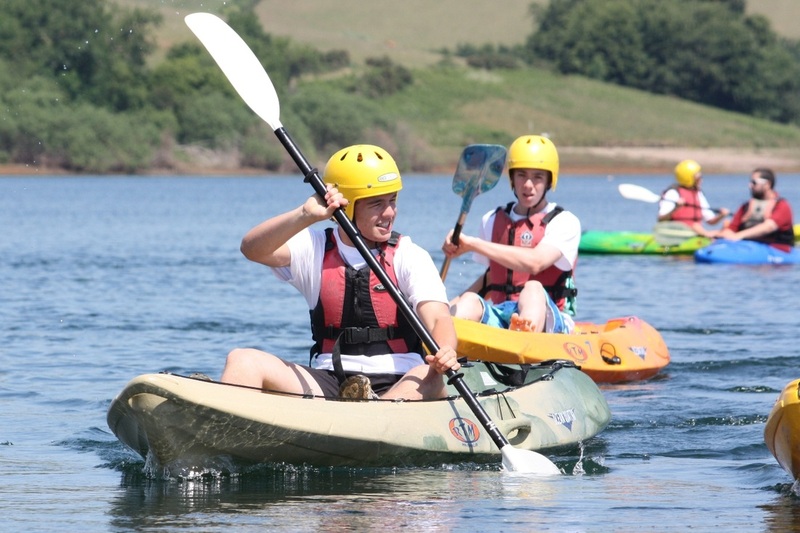 The camp takes place on the grounds of Downside School in Somerset and enables the young people to experience outdoor living, outdoor adventure and provides some excellent opportunities for their personal and social development. With funding support from amongst others Charterhouse-in-Southwark and Southwark Council, we are able to offer this fantastic and fun-filled week to DFYC young people at no cost to them or their families. 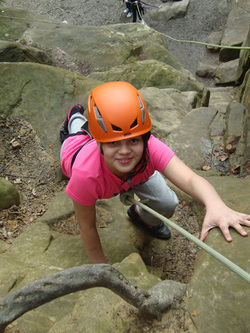 Summer camp activities include caving, bike ride, BBQ, horse riding, swimming and much, much more.